free shopping onto SuperStar Gemini the cruise ship. 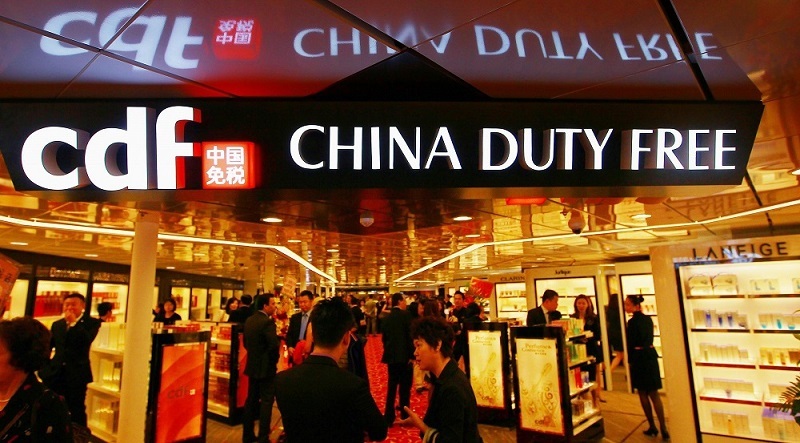 Genting Hong Kong and China Duty Free form strategic partnership to bring duty free shopping onto the cruise ship, the perfect way to cruise and shop at the same time. Now, you can enjoy the ocean cruise holiday plus the duty free shopping all under one roof while SuperStar Gemini continues its inaugural cruises around Asia. This is the moment of redefining duty-free shopping-at-sea experience as SuperStar Gemini takes you to a voyage of the new experience. 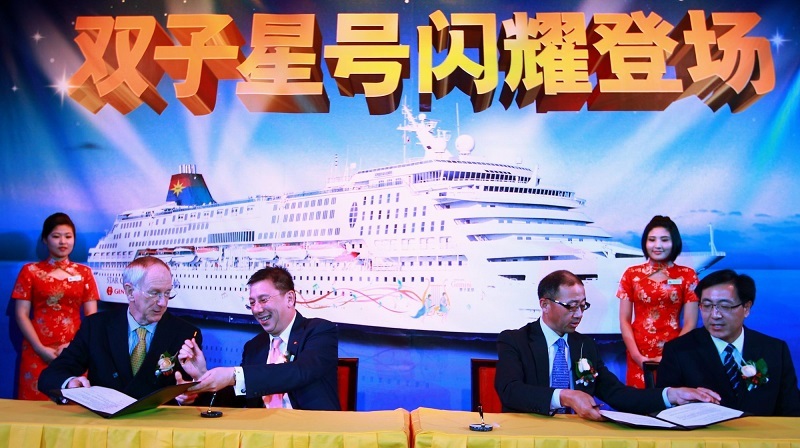 SuperStar Gemini, the newly refurbished vessel from Genting Hong Kong’s subsidiary Star Cruises, today arrived in Sanya to commence her two-month deployment calling at popular ports-of-call Halong Bay and Danang. After a series of successful inaugural sailings from Singapore and Penang, SuperStar Gemini will be homeported in Sanya from February to March before her Shanghai deployment from April to October. 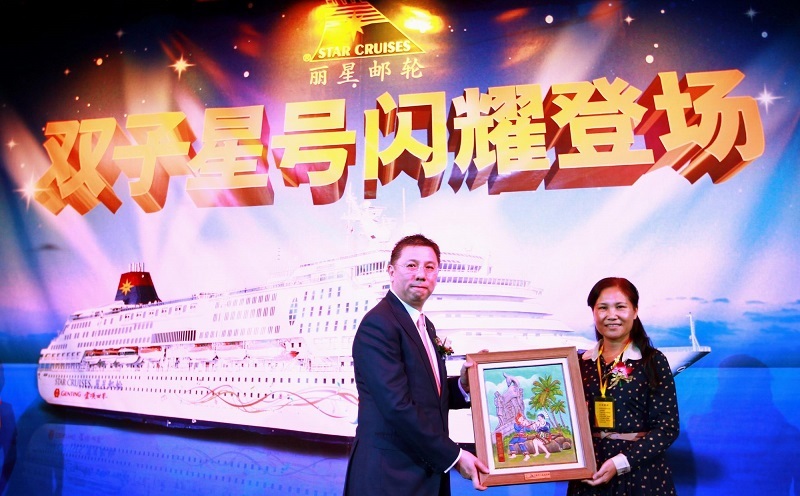 To commemorate the special occasion, an inaugural ceremony was held on board SuperStar Gemini, during which representatives from Star Cruises exchanged souvenirs with Miss Xu Zhen Ling, Vice Mayor of Sanya City and Mr. Hu Yue Ming, Deputy Director General of the Hainan Provincial Tourism Development Commission. Making the occasion even more significant was the signing of a Memorandum of Understanding which formalized Genting Hong Kong’s strategic cooperation with China Duty Free Group. This strategic partnership draws on both parties’ operating expertise, resources and shared vision to jointly develop duty-free retail business and enhance customer satisfaction. SuperStar Gemini’s 600-square-metre swanky shopping boulevard is one of the largest retail space on cruise ships, featuring designer branded merchandise, ranging from luxury handbags, wristwatches, sunglasses, perfumes to cosmetics. SuperStar Gemini has also introduced the high end jeweler and watch boutique Canopus and leather goods specialist Milan Station. Genting Hong Kong also held a charity golf tournament organized with The Chinese Athletes Educational Foundation at Luhuitou Golf Club in Sanya. Olympic medalists Li Xiao Peng, Yang Wei, Luo Xue Juan and Feng Kun participated and raised fund for the Foundation. One of Asia’s most well-known musicians Eric Moo then entertained guests and donors onboard SuperStar Gemini with a captivating concert. popular ports-of-call Halong Bay and Danang. SuperStar Gemini, at 50,764, is 230m long, 29m wide and its average cruising speed is 18kn. The 13-storey SuperStar Gemini offers 766 cabins with 1,700 lower berths. The full range facilities include 11 restaurants and bars, offering a range of cuisines for all palates, a spacious shopping area, well-equipped health club, spa & beauty salon and many more. The endless entertainment programmes onboard, including quality production show and magic shows, provide spectacular cruising experience to families, friends and youths. Genting Hong Kong Limited is a leading global leisure, entertainment and hospitality corporation. 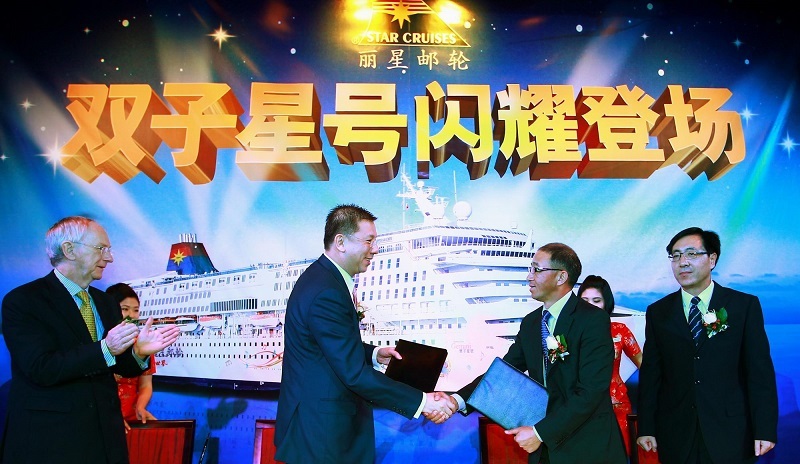 A primary business activity of the company is cruise and cruise related operations under the brands of Star Cruises and Norwegian Cruise Line. 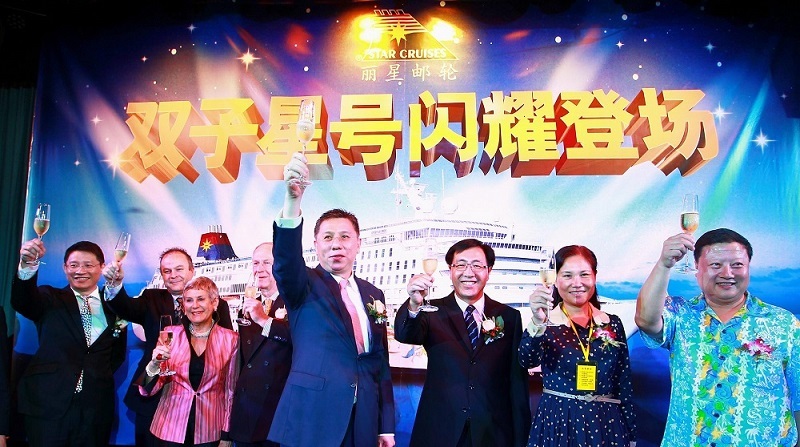 Star Cruises, together with Norwegian Cruise Line, is the third largest cruise operator in the world that owns a combined fleet of 18 ships visiting over 200 destinations in the world, offering approximately 35,000 lower berths. Genting Hong Kong’s first foray in a land-based attraction, Resorts World Manila, opened its doors to the public in August 2009. Resorts World Manila is one of the premier leisure brands under the Genting Group and the Philippines’ first one-stop, nonstop vacation spot for topnotch entertainment and world-class leisure alternatives, featuring 3 hotels including a six star all-suite Maxims Hotel, an iconic shopping mall, 4 high-end cinemas and a multi-purpose performing arts theatre.